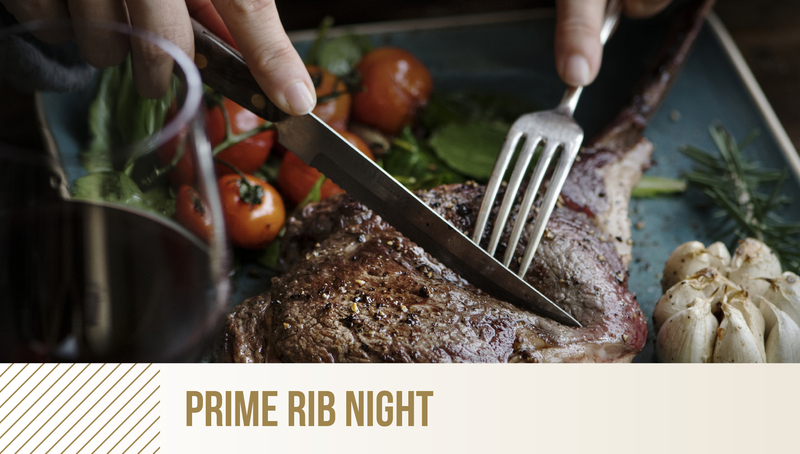 Join us in Chavoor for a specialty prime rib menu! Enjoy a delicious 10 oz piece of prime rib, choice of roasted or mashed potatoes, seasonal vegetables, au jus, and creamy horseradish. Be sure to make your reservation for this fun evening with friends, family, and great food. Available every Thursday Night!